CINCINNATI—Do you have to vote even if you don't want to? Not doing so could put you on the path to losing your vote in some states. 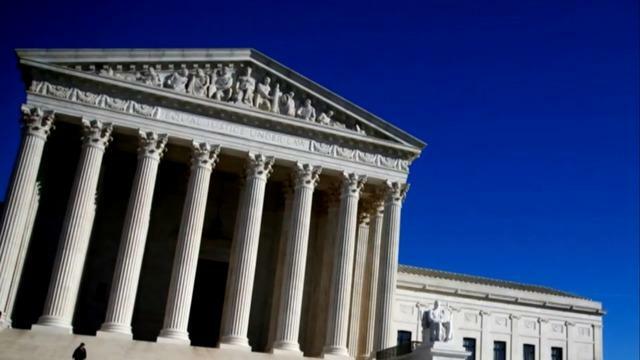 The U.S. Supreme Court is expected to rule soon on a lawsuit filed against Ohio's secretary of state over the practice of flagging registered voters after they've missed one federal general election. They get a mailed notification asking them to confirm their address. If they don't respond and don't vote in the next two general elections, they could be purged from voter rolls. In oral arguments Jan. 10, an attorney for civil rights groups said Americans not only have the right to vote, they have the right not to without worry about losing their registration. Attorneys for Ohio and the United States — President Trump's administration reversed the position by former President Barack Obama by siding with Ohio — contended they are only trying to ensure the integrity of voting rolls. Mr. Trump has elevated the issue of voting fraud during his presidency. Ohio Secretary of State Jon Husted has said repeatedly that the state wants to "make it easy to vote and hard to cheat." Why should I care if I don't live in Ohio? Attorneys told the high court that at least six other states — Georgia, Montana, Oklahoma, Oregon, Pennsylvania and West Virginia — have similar practices. A ruling upholding Ohio's practices could lead to more states adopting similar procedures. Those in favor say states are mandated to maintain up-to-date voter lists. Those opposed to Ohio's system see it as among moves by Republican officials in different states to add requirements such as presenting photo IDs or proving citizenship that tend to reduce voting among minorities and low-income people more likely to vote Democratic. "All of us should be concerned if you have people who are running the electoral system who instead of trying to promote as much democracy as possible are trying to distort it in subtle ways to gain political advantage," said attorney Paul Smith, of Washington, who argued against Ohio's law before the justices in January. Some states allow same-day voter registration and voting, but most don't. But don't we want to be sure only legal voters vote? State election officials and voting experts agree that having accurate registration lists is important to running smooth, fair elections. Removing people who have died, moved out of state, or are in prison for felony crimes helps reduce opportunities for fraud. "Properly done, efforts to clean up voter rolls are important for election integrity and efficiency. Done carelessly or hastily, such efforts are prone to error, the effects of which are borne by voters who may show up to vote only to find their names missing from the list," Jonathan Brater, counsel for the Brennan Center for Justice's Democracy Program at New York University, wrote in a report earlier this year. A 2013 Supreme Court decision cleared the way for local election officials in some parts of the country to make changes to election procedures without having to submit those plans for Justice Department review. Civil rights groups say that loss of protections has led to instances like one in 2015 in Hancock County, Georgia, where some black residents received summonses requiring them to appear in person to prove their residence or be removed from voting rolls. President Trump's unsupported assertions that millions voted illegally in the 2016 presidential election have added to uneasiness among voting rights groups about what steps states might take to add voter requirements. Trump hoped to prove widespread fraud when he appointed a commission to study the issue, but abandoned it as states refused to cooperate with expansive demands for personal voter data. Is that really a big deal in Ohio? The secretary of state's office said Ohio has followed similar procedures for seeking voter confirmation of their status under both Democratic and Republican administrations since 1994. Ohio records show more than 3 million notices seeking voter confirmation of their addresses beginning in 2011, when Husted, who is Republican, took office as secretary of state. Numbers under his Democratic predecessor weren't available. Smith told the justices that some 70 percent of those receiving mailed notifications didn't respond, often throwing them away without reading. The numbers of voters listed as stricken or ready for striking — Ohio halted purges after the federal lawsuit was filed two years ago — were in the tens of thousands in urban counties such as Cuyahoga, Franklin, Hamilton and Lucas, where Democrats tend to do better than in much of the rest of the state. However, it's not clear how many voters lost their registrations even though they should have remained eligible. Associated Press calls to more than 100 people listed as removed in five mostly urban counties found that in the vast majority of cases, the people were no longer at the address where they lived when registered. Some voters in the Ohio case say they were given provisional ballots, which are subject to verification, but believe their ballots weren't counted. Miami University political scientist Christopher Kelley said in a closely divided swing state like Ohio, anything done to "put your finger on the scales" can be decisive. He pointed to the 2004 election, when voting under a Republican secretary of state was plagued by long lines, faulty equipment and other problems in Ohio. President George W. Bush won by some 118,000 votes to carry Ohio and clinch his re-election, four years after he won election with a disputed 537-vote margin in Florida. What do affected voters say? Joseph Helle, an Army veteran, was removed from the rolls while serving in Iraq and Afghanistan. He called voting a fundamental right that ensures all of the other ones protected by the Constitution. "It affects me and it affects any veteran," said Helle, now the mayor of Oak Harbor, Ohio. "But it also affects anyone who has never served. It affects everyone equally. It takes away our voice ... I was incredibly emotional when I was taken off the rolls ..."
Helle, who attended the Supreme Court arguments in January, said that not voting also is a right of free expression; it can be a way to express dissatisfaction with the candidates or the way the system is working. Lisa Keil, of Toledo, found out she had been removed from the list of eligible voters when she tried to cast a ballot in a special mayoral election in 2015. "It made me look really stupid. I felt humiliated," she said. She remembered that she tried to vote in 2012, but she showed up to find long lines and was worried she wouldn't have enough time to get to her job, so she skipped voting. Keil said she never knew that could lead to her being removed from the voting rolls. She was separated from her husband for a short time and doesn't recall getting a notification from the secretary of state. Jennifer Arlinghaus, of Cincinnati, was listed in Hamilton County records as subject to removal for not voting or responding. She acknowledged that sometimes she doesn't vote if she's not that interested in the candidates or issues. She said removing people for voting isn't "necessarily good." But she cast her ballot without problem in 2016, for Trump. And she's "very pleased" that she could exercise that choice. Seewer reported from Toledo, Ohio. Associated Press writer Christina Almeida Cassidy in Atlanta and AP News Researcher Jennifer Farrar in New York contributed to this report.